With the tremendous influence of modernisation, remarkable changes have taken place in the family structure to such an extent that nowadays, youngsters are motivated by their parents to live alone as they grow up. However, some people are of the view that it is more practical for a youngster to live with their family. On the one hand, there are many positive aspects to youths living away from their parents at young age. This provides the opportunity to young people to live a life on their own terms and make any decisions without the interference of their parents. Besides, living alone not only makes them independent but also makes them self-reliant, which is a crucial life skill to their successful career. For instance, managing all the house chores such as cleaning, paying bills, cooking and so on will make them well experienced at learning and managing diverse activities and will also boost their confidence. On the other hand, there is no denying the fact that youngsters living away from their family may find themselves in circumstances that may adversely affect their life. Naïve and inexperienced young people in the absence of parental supervision are more likely to fall prey to bad influence and dangerous activities, such as drugs or alcohol consumption, which may jeopardise their career or lead them astray from moral values. However, this situation is less likely to take place with youngsters still living with their parents. Besides, emotional bonding and family relationships can be maintained better if everyone is living together under one roof. In my opinion, although encouraging youngsters to live alone may lead them to learn various life skills, negative aspects and risks associated with living alone can far outweigh the benefits. This response covers the task topic well, by discussing the positive and negative aspects of living alone as a young adult, and the writer’s opinion has also been included. Paragraphing helps to present ideas in an orderly way, and cohesion and coherence are maintained throughout the essay. There is some repetitive use of the word ‘make’ in the first body paragraph, which could have been avoided. Apart from that, the writer’s vocabulary seems to be quite rich and allows them to communicate ideas precisely and clearly. Overall, this essay seems to be worthy of IELTS Band 8. 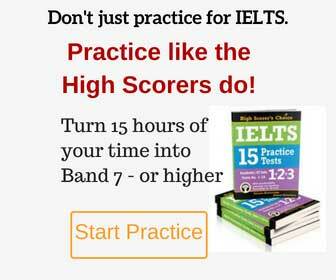 Can you assess my GT IELTS task-2 ?? Yes, we certainly can! Please visit this page to learn how to submit your writing and receive our teachers’ feedback.